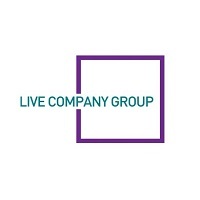 Live Company Group (LON: LVCG) has today announced that its first BRICKLIVE Show in the US was held at The Ford Center at The Star, Frisco, Texas on 26 and 27 January 2019. The show was the first to be promoted by the Group’s US joint venture, Parallel Three Six Zero Inc., and Live Nation Entertainment Inc. and was well received by visitors, with attendance being in line with the Company’s expectations. The show also received a good response from the media, with FOX 4 News, ABC and CBS attending the show. The BRICKLIVE Show included 30 life sized LEGO® models from the Company’s Animal Paradise Tour, a BRICKLIVE Show first, with the Master Builder Workshop, Challenge Zone, Minecraft Education Zone, Ninjago Tournament Zone amongst many other features. The Company is in early discussions regarding further BRICKLIVE shows in the US. On the 26 January 2019, The Great Brick Safari was launched at RHS Wisley, Surrey, UK which features 40 exciting LEGO® models. The Great Brick Safari forms part of the Group’s BRICKLIVE Touring and Zoo assets. “We were delighted the BRICKLIVE Show launched at The Ford Center in Dallas, home to the Dallas Cowboys American Football Team. The show was well received by visitors, families and fans of the brick and we look forward to exploring opportunities to deliver further shows in the US.